Burnaby Townhouse Sold for Record Price! A three bedroom townhouse in South Burnaby doesn’t come along every day. 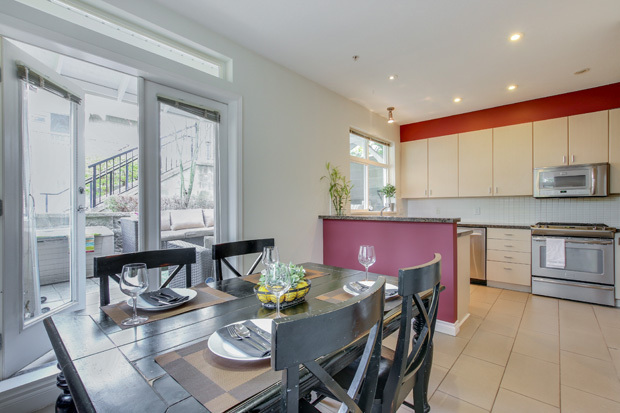 So it’s no surprise that Burnaby Realtors James Garbutt and Denny Dumas were able to get a record price for this 3-level beauty at #84 6878 Southpoint Dr,. The end-unit townhouse features 1700 sq. ft. of living space, making it one of the largest in the Cortina development in Burnaby’s South Slope neighbourhood. The three bedrooms are all located upstairs, along with two full bathrooms. The open-concept main floor has 9’ ceilings, a gourmet kitchen and a powder room. 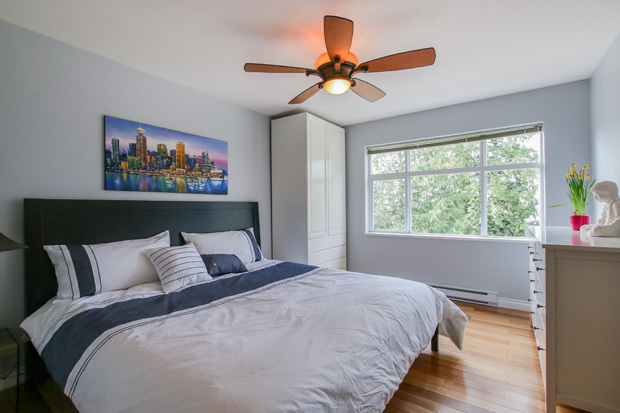 The basement has a spacious rec room and direct access to the underground parkade where the unit’s two side-by-side parking stalls are located. The huge wrap-around patio borders a green belt that connects to walking and biking trails that weave through the area’s parks. The Edmonds SkyTrain station is a 5-minute walk away, as are Taylor Park Elementary School and two daycares. Shopping at the Market Crossing is only a short drive away. With so much going for it, plus an awesome location, this Burnaby townhouse attracted the attention of real estate agents in Burnaby who presented multiple offers. It sold well above list in just 11 days! 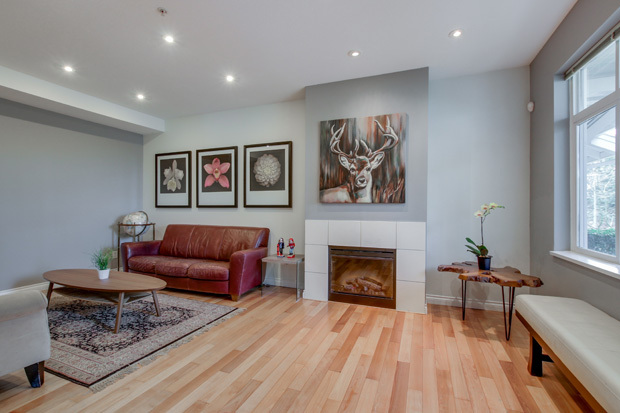 The living room features high ceilings and a gas fireplace. The master bedroom looks out at a green belt.